The legs are made of organic material that is meant to be soft, supple, pliable and flexible. Masturbation tightens the leg which reduces their pliability and flexibility, and gives them a tendency to lock straight outwards. The legs are designed with certain distances and angles between all of their constituent parts. The Laws Of Physics and The Principles Of Engineering can describe exactly how a particular leg should move with it’s particular natural angles and distances. If the natural angles and distances of a leg are changed in any way as they are by the act of masturbation, when the affected individual orders their leg to move somewhere, instead of going to the desired spot along the proper path, the leg will go to a different spot along a different path that can be exactly determined using The Laws Of Physics, The Principles Of Engineering, and the new masturbation caused angles and distances between the parts of the leg. The human body has what is frequently referred to as “grounding ability”. “Grounding Ability” can be roughly defined as “the ability of the body to hold onto the ground”, or “the ability of the legs to press down on the ground”. In most cases a strong grounding ability requires both legs to be pressing down onto the ground. Masturbation weakens the ability of the body and legs to hold onto or press down on the ground. Because one leg must be pressed down on the ground to hold the body up, only one leg will actually respond to that weakening of the grounding ability by moving upwards or “floating”, as demonstrated in this example picture. 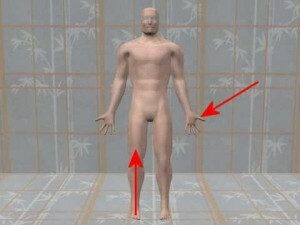 The man’s right leg is not lifting upwards because he mentally commanded the leg to lift upwards. The leg is lifting upwards because the part of it that is supposed to push down on the ground is “broken”. Masturbation will change one of the legs so it has a tendency to lift upwards or “float”. 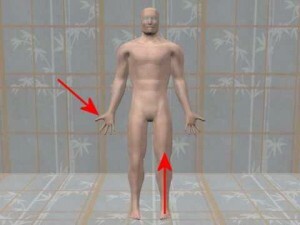 That tendency is known as “Lifting Leg Syndrome” of “Floating Legs” in Happeh Theory nomenclature. while left hand masturbation will make the right leg float. The arrow in this picture of an actual example of Lifting Leg Syndrome is highlighting the upwards movement of the right leg while the man is undeniably masturbating with his left hand. The man’s right leg is not lifting upwards in response to a mental desire to lift that leg upwards. The right leg is lifting upwards involuntarily in reaction to forces generated by the act of masturbation. 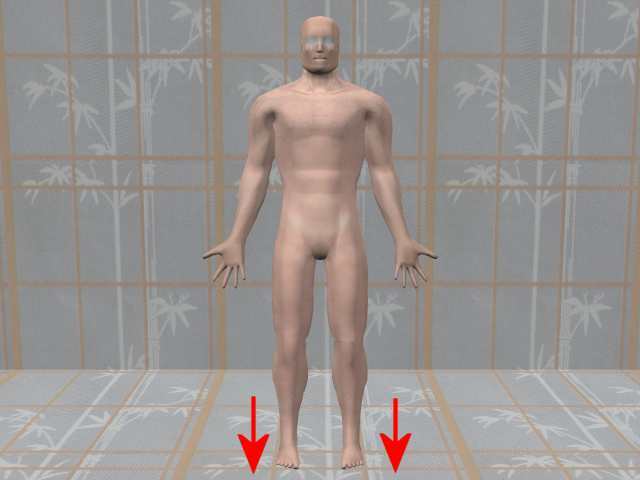 The part of the body that is supposed to push his foot down on the ground, is instead retracting the foot back towards the body, because masturbation shrinks the part of the body that is supposed to extend into the legs and activate them. That weakening or destruction of the “ground” or “grounding ability” of a human being is directly related to the amount of masturbation the individual engages in. Small amounts of masturbation will not affect the legs too much. The amount of leg lifting in the picture above would indicate a weakening of the man’s grounding ability, as opposed to the destruction of his grounding ability.